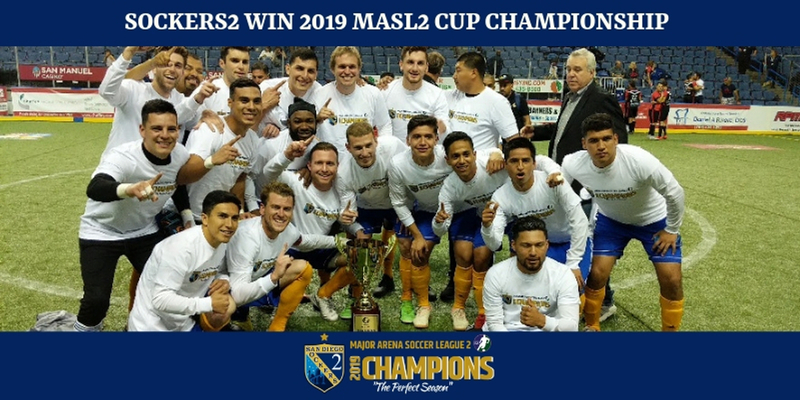 The San Diego Sockers2 won the 2019 MASL2 Cup Final 7-5 over Cuervos Juarez at Citizens Business Bank Arena in Ontario on Saturday afternoon. Rene Flores scored three goals and the defense held on during the frantic final two minutes. 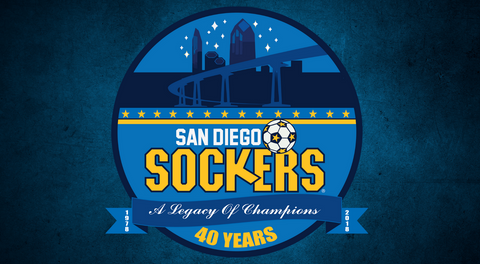 San Diego finished the season with a 14-0 record (12-0 regular season & 2-0 playoffs) and it is the first title for the San Diego Sockers developmental team in their two-year history. 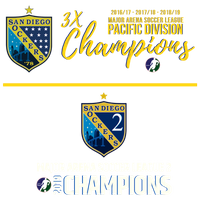 San Diego, the #1 seed in the playoffs, opened a 3-1 first-quarter lead on goals from Ismael Rojo, Ma'Cain Jayvon-Spraging and Flores. Cuervos took advantage of an errant pass by Sockers2 goalkeeper Yair Aguilar for their marker. Flores completed his natural hat trick with two more goals in the second to extend San Diego's lead to 5-2 at halftime. The Sockers2 looked like they were going to ease their way to a win after Rojo notched his goal to start the third period for a 6-2 lead. However, Cuervos scored the next three goals with the last coming with under three minutes to play to come within one at 6-5. San Diego tried to ice the game several times with long-field shots that went just wide of the empty net. Cuervos was called for a penalty with two minutes remaining to provide San Diego with the opportunity to close out the game on the power play. 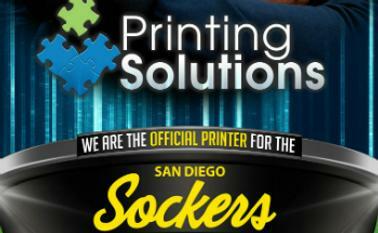 The Sockers2 converted to increase their lead to 7-5 and end Cuervos' hopes of a comeback. Aguilar earned the win in goal, but he was not able to finish after a collision in the box led to going to the bench with eight minutes left in the fourth quarter. Brian Sarabia entered the pressure-packed situation and held his ground allowing only one goal and making three key saves to preserve the victory. Head coach Rene Ortiz told the team, "We began this in October and your hard work paid off today with a championship." He continued, "It is not easy to win a championship, be proud of what you have done."